Create an event to remember and enjoy bespoke hospitality in one of the most beautiful buildings in the city.  Whether you are hosting a morning seminar, a team meeting or away day, a pre-theatre client reception or a special celebration, the Royal Exchange Theatre offers beautiful, functional spaces and excellent event services, in a unique city-centre location. Our Events & Hospitality team works with attention to detail and a creative approach, to ensure your event runs smoothly from start to finish. Our catering menus are varied and flexible, while our Head Chef is happy to create a bespoke menu suited to your needs. Take a look at our available spaces and find out more about Venue Hire & Hospitality here. Our Corporate Sponsors and Members also have access to a dedicated Account Manager to support event planning and delivery. Corporate Partnership benefits can include reduced or complimentary room hire, VIP treatment for guests and behind the scenes access, designed to make your event at the theatre that little bit more special.